Anna G. Neofotistos passed away peacefully at home on Friday November 16, 2018. 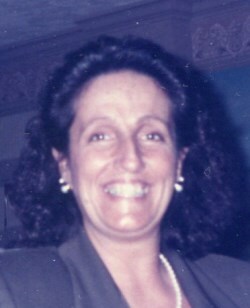 Born on June 5, 1949 in Lowell, MA, a daughter of Georgia (Voulgaris) Neofotistos and the late George L. Neofotistos, she attended Dracut schools and graduated from Dracut Senior High School in 1968 and went on to become a Licensed Practical Nurse in 1975 and a Registered Nurse in 1977. She began her nursing career at D’Youville Manor Nursing Home and then the former St. Joseph’s Hospital in Lowell where she found her niche working in the operating room. She retired from Lowell General Hospital in 2007. Anna received numerous nursing awards for her outstanding patient care. She was most proud of her CNOR award and took great pride in being a kind and compassionate nurse providing direct patient care and comfort to her patients and their family members. If you were lucky enough to have her as a nurse, you still talk about how wonderful and caring she was. It helped that she spoke fluent Greek. Upon her retirement, Anna spent most of her time caring for her mother Georgia and it was her goal that her mother would live in her own home for her entire life. She still does. She enjoyed her morning Dunkin Donuts coffee, long car rides, fine dining, travelling, movies, books and reading the Boston Globe. Besides her mother, Anna is survived by three sisters Angelina G. Ramos of Lowell, Darlene Al Basaleh and her husband Najem of Stanton, CA and Iris Malliaros and her husband George of Dracut; two brothers Peter G. Neofotistos and Arthur G. Neofotistos both of Lowell; two goddaughters Zoe Malliaros and Eva Larkin; and many nieces and nephews to whom she was overly generous on holidays and their birthdays. Friends may call at the O’DONNELL FUNERAL HOME 276 PAWTUCKET ST at Fletcher from 4 to 7 P.M. Friday. Relatives and friends are invited to her Funeral Service to be celebrated Saturday morning at the HELLENIC ORTHODOX OF THE HOLY TRINITY at 10 o’clock followed by burial in the Westlawn Cemetery. E-condolences/directions at www.odonnellfuneralhome.com. Those wishing may make contributions in her memory to Circle Home, Inc., 847 Rogers St., # 201, Lowell, MA 01852. Arrangements by Funeral Director James F. O’Donnell, Jr. (978) 458-8768. My deepest sympathies to Anna's family. May the hope expressed at Job 14:13-15 give you some comfort for your great loss. We are heartbroken about Anna. We both worked with her in the operating room at LGH for many years and have many fond memories. She was an exceptional nurse in every way, and a genuinely kind, caring & lovely human being. She treated everyone with love, empathy & respect. Every Greek Easter, she would bake a variety of homemade Greek cookies and bring them in for the staff. We all very much looked forward to that every year. Sending many prayers to Anna’s entire family and for her precious soul to rest in eternal peace. She will be greatly missed. Worked with Anna and Angie 50 yrs. ago-lovely person through and through.